This week we bring you photos of one thing we can't get enough of—children enjoying unstructured, outdoor, active summer fun. 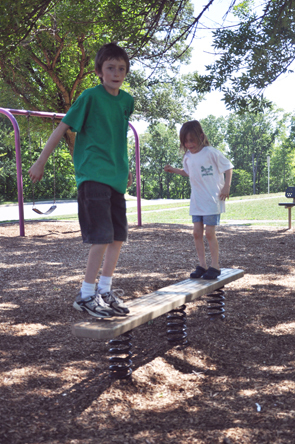 On week five of our Park-A-Day Summer Challenge, our brave challengers are still going strong. 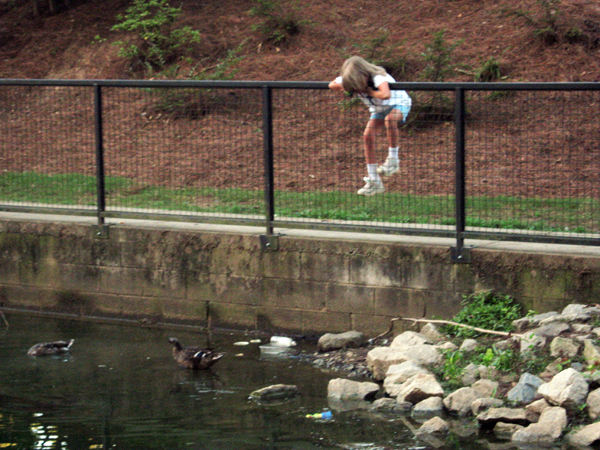 Meanwhile, their children are trying new things, interacting with nature, and testing their own limits. Kids don't always play in the ways we expect them to. 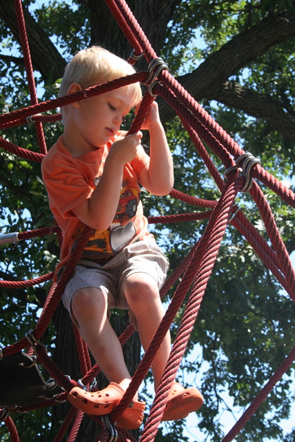 Sometimes a river or a tree can spark a child's interest over a swing or a slide; other times, kids find unexpected uses for traditional playground equipment. You never know what might happen--it's all in a day's play. Liza Sullivan's son asked, with a note of panic in his voice, “How do I get down? How can I get out of here? I will be trapped and it is so big too! Can you help me?... I know I can not be up for everyday.” With this last reality check, Henry talked himself into slowly and carefully descending on his own. 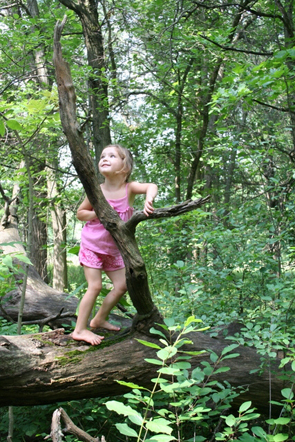 Heller Nature Center (Highland Park, IL): Liza says, "I did not try to stop Jettie as she decided to scale this potentially dangerous tree. As I assured her that falling was certainly a possibility, I also conveyed that trusted her. I trusted that she knows her own limits and that she would only climb as high as she felt comfortable. She did just that, without any injuries, just growing self-confidence and pride." Bay Park on Sand Key (Clearwater Beach, FL): Tracey Quinn says, "The kids got a huge kick out of pushing the button and getting misted!" Pier 60 Park & Playground (Clearwater Beach, FL): "During the day this playground is a nice break from the heat of the sand and beach, completely covered by a roof!" says Tracey. 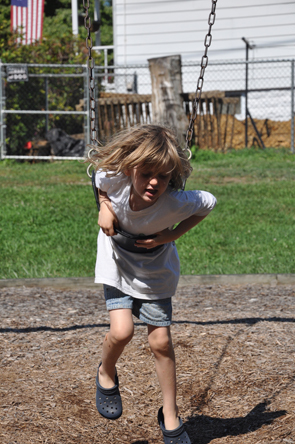 Belmar Park (Overlea, MD): "My son developed a game on the swings of getting a running start then floppy belly-down over the swing seat and swinging that way," says Sherry Frick. Belmont Park (Parkville, MD): Sherry says, "An interesting feature was a metal park bench seat mounted to three springs! It was odd-looking, but the boys enjoyed bouncing on it." 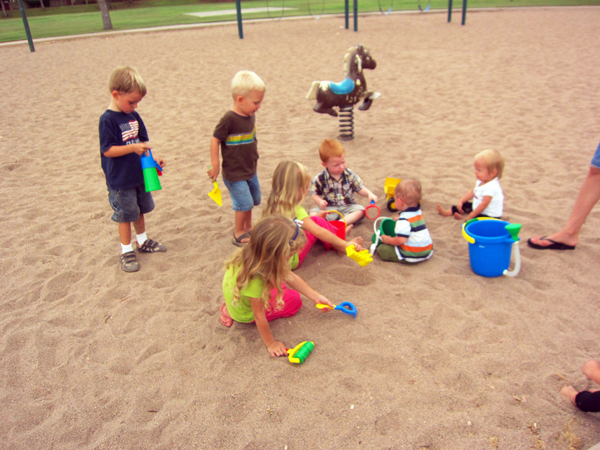 Candlelight Park (Mesa, AZ): Despite the nearby playground equipment, Marily Smith's children enjoy digging around in good old-fashioned sand. 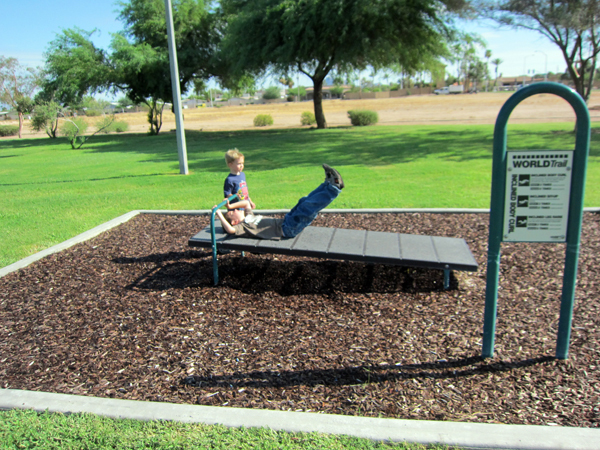 Alta Mesa Park (Mesa, AZ): Marily says, "A few parks in Mesa have these exercise circuits. I could definitely see myself letting the kids play on the playground while I got in a little bit of a workout on the equipment." 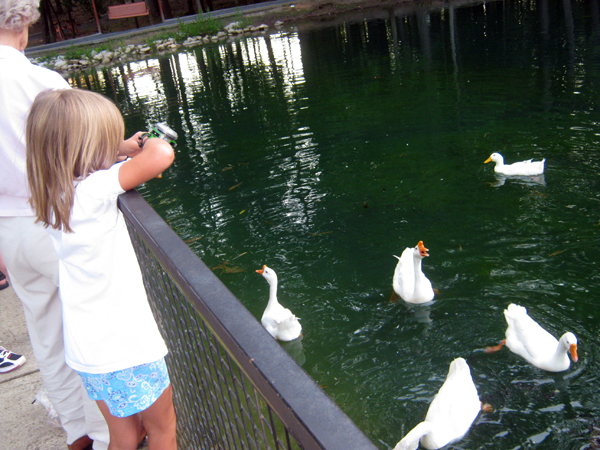 Ben Hill Strickland Sr. Park (Hiram, GA): Shelley Schumaker Callico's daughter enjoyed watching ducks. She also spotted a snake and climbed up the fence to get a better look.